Special offer for members: $30 kids ticket with purchase of full price adult ticket! Share the experience today with $30 kids tickets. Don’t miss the show that was declared a Critic’s Choice by the Los Angeles Times. Delve into the world of Kurios, where seeing is disbelieving. 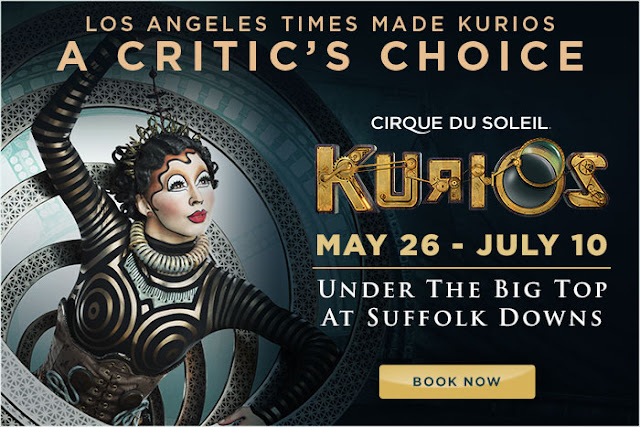 Kurios is now playing under the iconic blue and yellow big top at Suffolk Downs through July 10. CLICK HERE to take take advantage of this offer. OfferDisclaimers: Offer valid on select show dates and times while supplies last. This offer may not be combined with other offers or applied to previously purchased tickets.